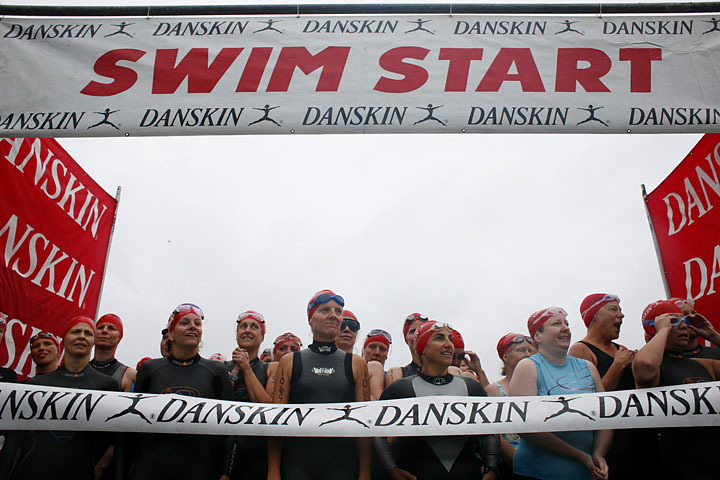 I photographed the Danskin triathlon yesterday. It rained the whole time, but the ladies persevered. The contestants were almost all amateur, most of whom had never been in a triathlon. For them, it was about proving something to themselves. Triathletes prepare to race at the Danksin women’s triathlon Aug. 19, 2007 in Genesee Park. Rain and drizzle didn’t hamper the spirit of the participants, their families, or friends and supporters at the event. 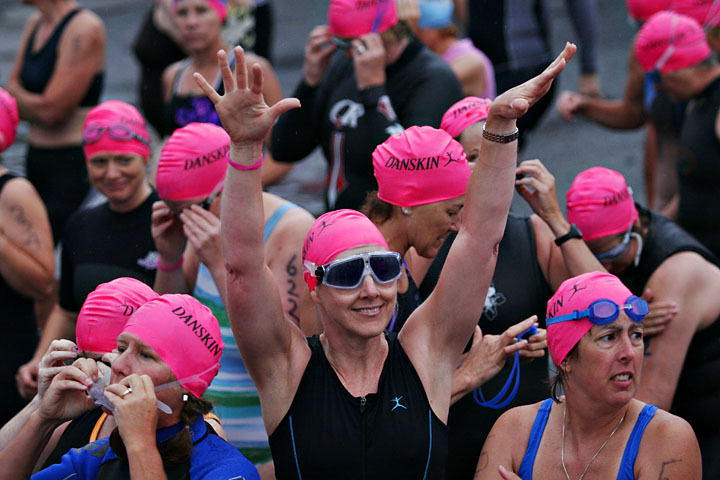 The Danskin website claims the event is the “largest and longest-running multi-sport series in the world.” The event consisted of approximately a .75K swim, 20K bike ride and a 5K Run. 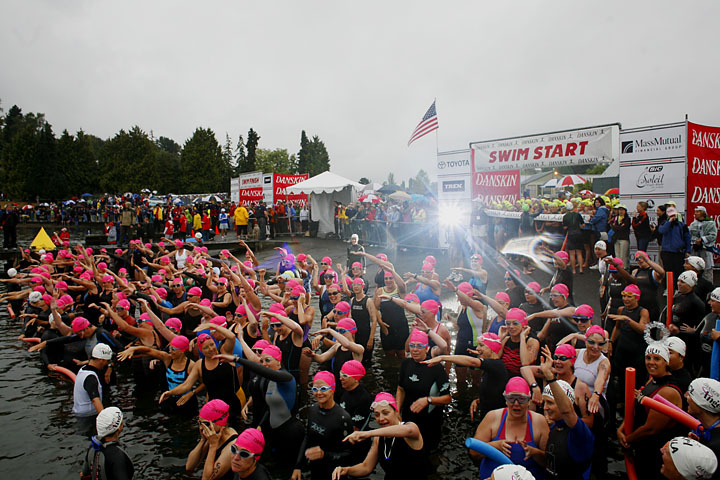 A participant waves to spectators before swimming toward outlying buoys and then loop back to shore in Lake Washington. Triathletes are given a last minute inspirational cheer from Sally Edwards, the national spokesperson for the series (off camera), by having the participants perform a freestyle stroke in the air before the begining of the event. Participants make a quick change from swimming to biking. 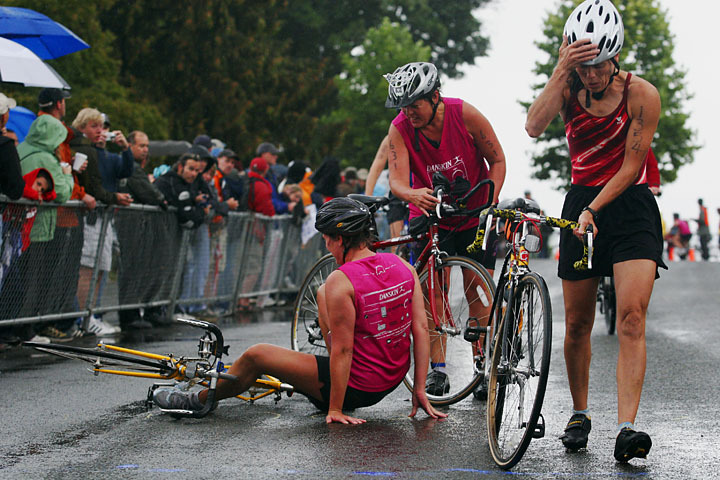 A participant takes a minor spill near the end of the bike portion while dismounting her bicycle. 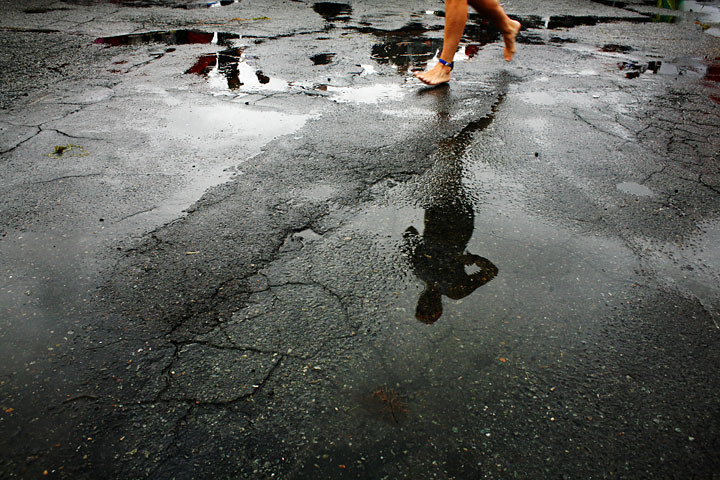 A participant makes her way from the swim event toward her bicycle for the bike event. 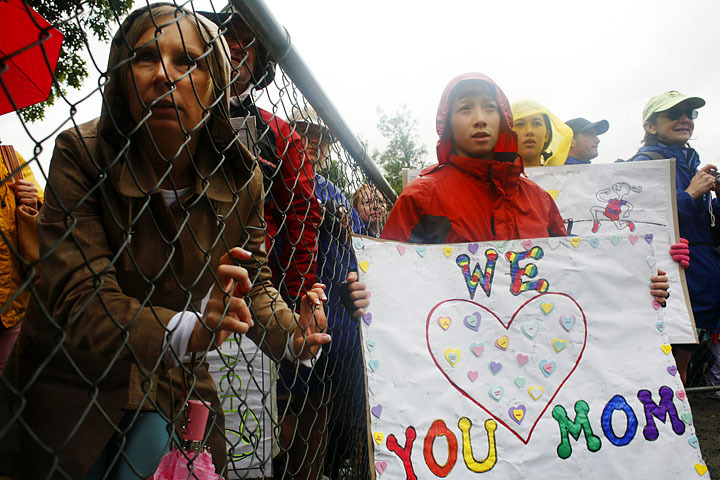 Near the finish line, Jennifer Lo, left, looks to spot her friend while Dylan Legg, 13 and his sister Kali, 14, right wait for their mother Louisa to cheer her on. 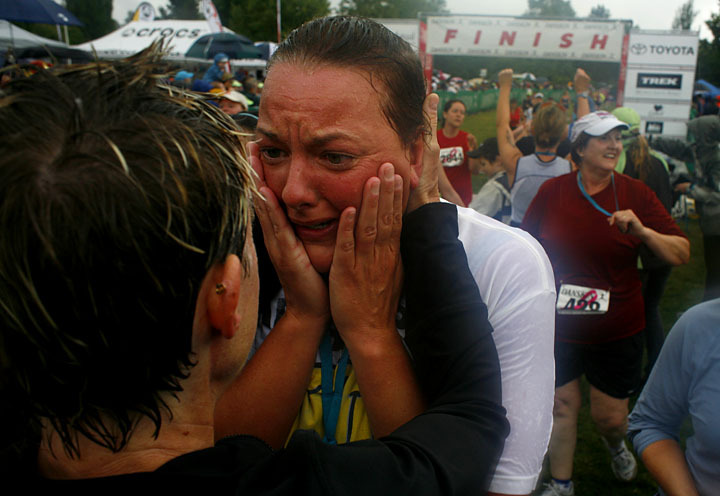 Melissa Riesen is overcome with emotion and held by her trainer Kim Brasfield, left, after she finished the Danksin women’s triathlon Aug. 19, 2007 in Genesee Park. It was Riesen’s first triathlon and she has recently lost 135 lbs of extra weight.